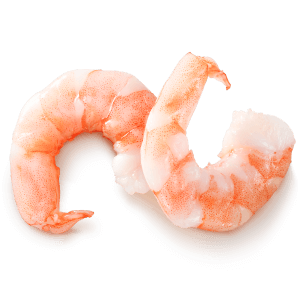 These are the familiar pink prawns. Various species of the Penaeidae family are used. They are fished in the coastal areas of South America and Asia. These smaller prawns are peeled and frozen directly after the catch. The small digestive tract is not removed.